Nick Heller is a private spy. 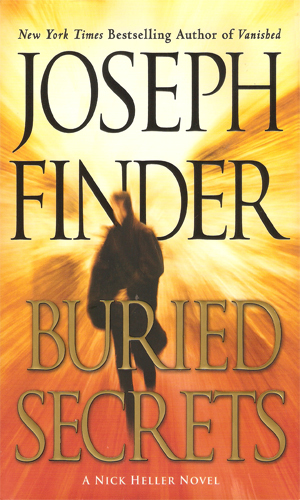 Some might consider him a private investigator but the jobs that he gets assigned, or assigns himself as the series progresses, extend far beyond what a normal paid-by-the-day detective would handle. As the first book opens, he is at LAX finding out who might have stolen a large plane belonging to a major package delivery company. In the first book he is the lead operative for one of the most successful private intelligence companies in existence and as such he has considerable leeway to do things his way. When even that gets too confining, he bids his employer goodbye and starts his own operation. Heller is, or was, a scion of Boston aristocracy. His father was one of the most powerful investment bankers around controlling billions with ease. As the children of such a wealthy individual, neither Heller nor his brother Roger really wanted for anything, certainly not the best schools. That came to a screeching halt when his father, learning that the SEC and Justice Department was just outside the grounds, disappeared. Suddenly the good life was gone and the two young men had to learn to survive with nothing but their skills and wits. For Roger, the same talent for making money that had blessed the father before he went bad brought the younger brother back close to the life he once had. For Nick Heller, though, the lack of the money showed him he did not really care for it. In a reminiscence, Heller recalls his brother mentioning how Heller’s entire apartment could fit inside the brother’s living room. Such was the way that Heller looked at material items. His great passion seemed to be the hunt or the action. When the brother clawed his way in the financial world, Heller moved to the military and the Green Berets. The many years he put in the Special Forces taught Heller considerable skills he would later use in his second career as a private spy. He learned to read his surroundings and how people’s movements and actions spoke far more than their mouths. He learned to trust his instincts and when doing so, to react immediately and not let hesitation slow him enough to get himself killed. 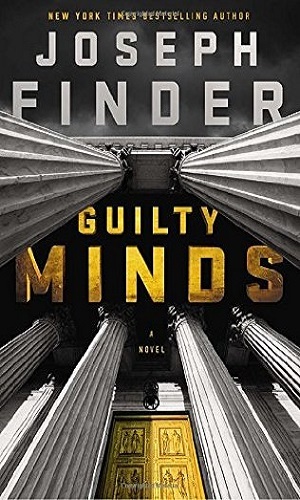 Nick Heller learns that his brother, Roger, is missing but did he willingly disappear or was kidnapped or was killed in retribution for something Heller or his father did? As Heller starts his investigation, he decides most of those involved are hiding things which could easily get someone killed. Alexa Marcus, daughter of a billionaire, has been kidnapped and buried alive, monitored by a video. Nick Heller is hired to find her but people wanting revenge on Heller are on his trail. The story connecting a Supreme Court justice and a murdered high-priced call girl is about to go public, causing tremendous damage to the judicial system's reputation. Nick Heller is asked to find out the truth and he has just 48 hours to do so. 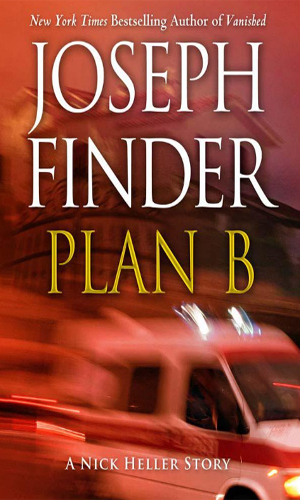 In Spain to assist in a rescue mission of a teenage girl, Nick Heller watches as a very good idea goes wrong but luckily Heller always has a Plan B. "(Jack) Reacher and a new acquaintance—Sox fan Nick Heller—find themselves drawn into a much less friendly rivalry when the guy sitting between them at the bar turns out to be a marked man." 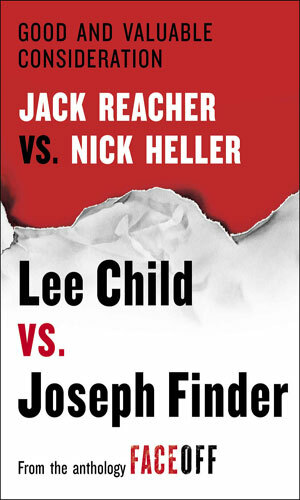 I knew I wanted to read the Heller books when I read a glowing commentary on Heller by the incredible Lee Child who used his own creation of Jack Reacher to talk about the qualities of Nick Heller. That was praise indeed. 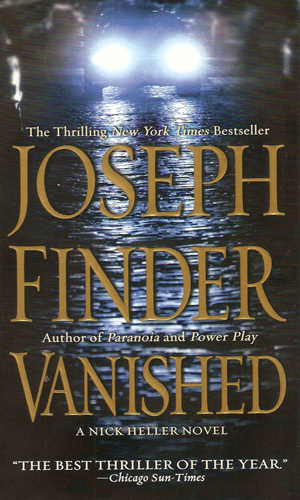 There was no need to wonder who the author, Joseph Finder, was for me, though as I had enjoyed his The Zero Hour and High Crimes many years before. I thought then that he would make a fantastic series writer but he did not seem interested. A couple of years later I picked up Killer Instinct and knew the man was still putting out winners. When I saw that he had written a series that I could include on my site, I was thrilled. Singing the praises of such a terrific author is a privilege and I do so here. Anything Mr. Finder writes is something to be read. Having said that, I hope he continues to give us Heller stories as I truly like this character and the troubles he gets into.